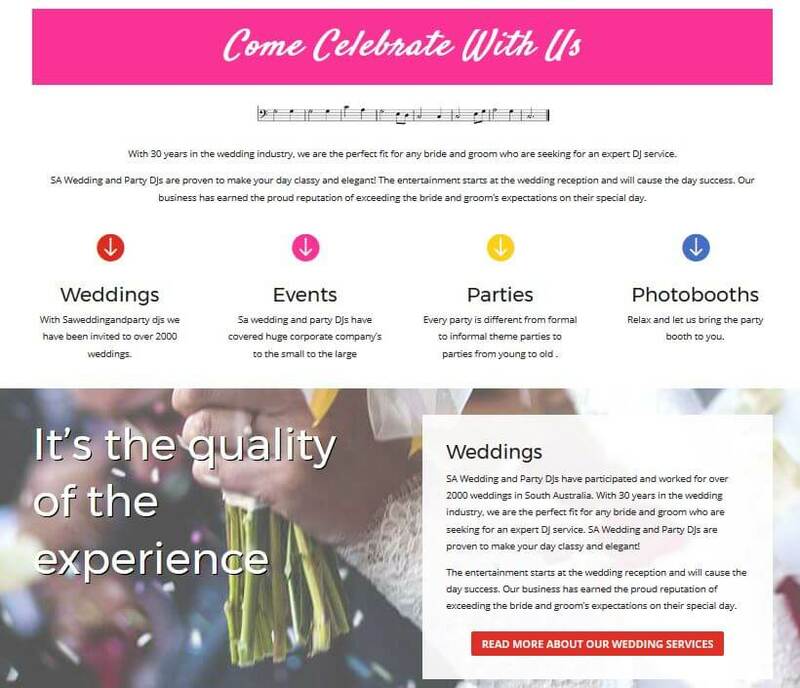 I had so much fun creating a bold and colorful website for SA Wedding and Party DJs. 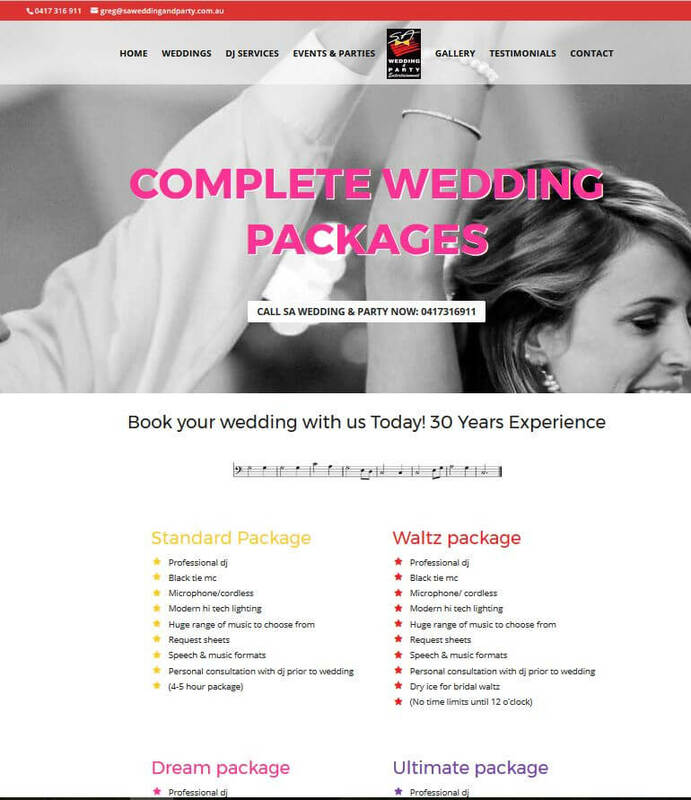 They came to me and needed a website that can grow, that was responsive and very bold and brave. 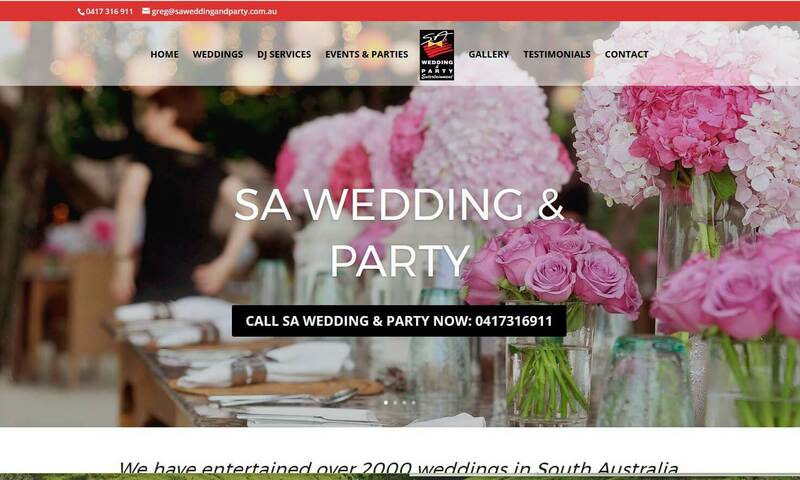 SA Wedding and Party DJs have worked for over 2000 weddings in South Australia and it was time for a great looking website that represented the business on internet. 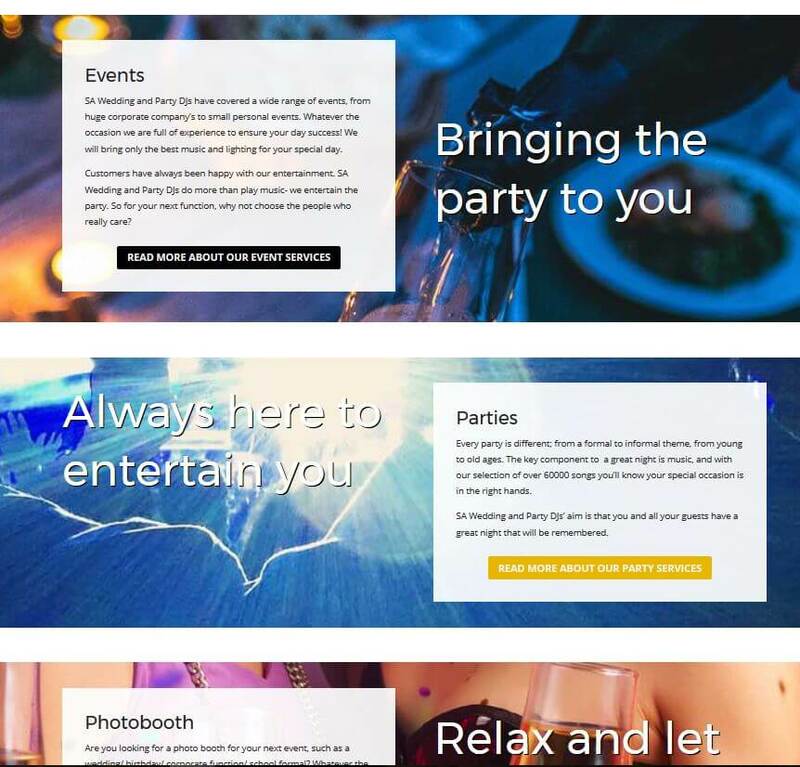 This is as always a WordPress website and built with the very popular theme Divi, leaving flexibility and possibility to be very creative. It is a responsive website (mobile friendly) and we have put an effort in search engine optimisation, SEO, and hope the website will do the business well!